Like many places in the United States, there are definitely some laws that seem very strange. Several of these laws actually pertain directly to driving. Take a few minutes to read through the list and be sure that none of the laws affect you, although we highly doubt it. Studded tires – Believe it or not, there is a law in Puerto Rico that states that you are not allowed to have studded tires. It might make you wonder how many people were driving around with distracting studded tires before it was decided that a law had to be put in effect. Tire Chains – The use of tire chains is actually permitted in Puerto Rico. This is not odd at first glance. However, when you consider the record low temperature in Puerto Rico is thirty-nine degrees, it seems much stranger. This means it has never snowed in Puerto Rico. Thus, “snow tires” would not be necessary. It might be for off-roading or because of the poor conditions of the roads. These kinds of tires might also be contributing to the poor conditions of the roads. Video screens – This law states that there can’t be a video screen in a vehicle so that the driver of the car can watch television. This is another law that is hard to imagine people violating, but it does happen from time to time. Windshield stickers – Some drivers in Puerto Rico will drive around with non-transparent decorative material on their windshield. Often, it was an advertisement of some sort for the driver’s business or another business that had paid the driver. This is obviously incredibly unsafe. So, the law now states that these things can not be more than one square that is bigger than seven by seven inches in the lower right-hand side of the windshield, furthest away from the driver and their field of vision. Radar detectors – Strangely enough, radar detectors are allowed for passenger cars but not commercial vehicles. We have not been able to come up with an explanation for this one yet. Motorcycles – Motorcycles in Puerto Rico must be driven with boots and gloves on. There were apparently some people operating motorcycles in just sandals. Mopeds – Mopeds in Puerto Rico can be driven by those only sixteen years of age, whereas for a car, without supervision, you must be eighteen years old or older. You also may not use your moped at night if it does not have a headlight that can shine its light at least three hundred feet. School Buses – There is a law in Puerto Rico that says that school buses must have a sign that says, “School Bus”. The reason this needed to get pushed into law was that school buses could occasionally be regular buses or vans. Believe it or not, the opposite could be true as well. Some yellow school buses double as things like party buses at night in Puerto Rico. 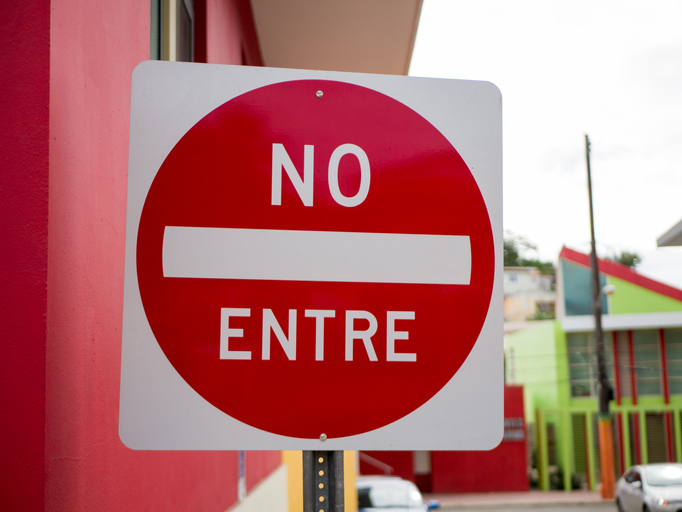 There are a few very strange laws about driving in Puerto Rico. Some are harder than others to believe. All are true though. The most important thing to remember is that these laws won’t affect you unless you had planned on doing something along the lines of getting diamond studded tires during your time driving in Puerto Rico.